Mary Alice knew from a very young age that her calling was to become a physician assistant. 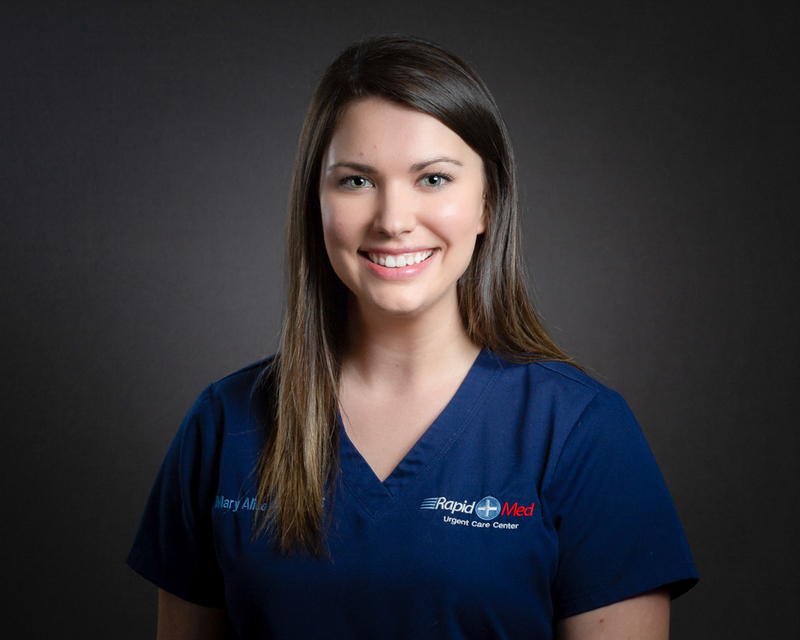 She first entered the medical field as a patient care technician in an emergency room in Austin when she was still a student. She loved the patients, the fast-paced atmosphere, and the diversity that the emergency room provided and knew that she would thrive in a similar environment as a physician assistant. Mary Alice loves all things outdoors and enjoys biking, hiking, camping, and traveling. Her days away from Rapid Med are spent enjoying quality time with family and friends, as well as serving at her church.